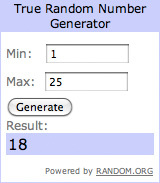 Announcing The Winner Of The JOYSTICK-IT iPad Arcade Stick From ThinkGeek | OhGizmo! By Andrew Liszewski on 03/25/11 • Leave a comment! A few weeks ago our contest to win one of ThinkGeek’s clever JOYSTICK-IT iPad Arcade Sticks ended, and after a few small hiccups, we’ve finally found someone willing to step up and claim their prize! So congratulations to ‘ABuckeye’ whose comment: “Coming back for a daily entry, Thanks:)” was randomly selected by Random.org, proving the theory that it’s definitely worth your time to come back and leave multiple comments when the rules allow. 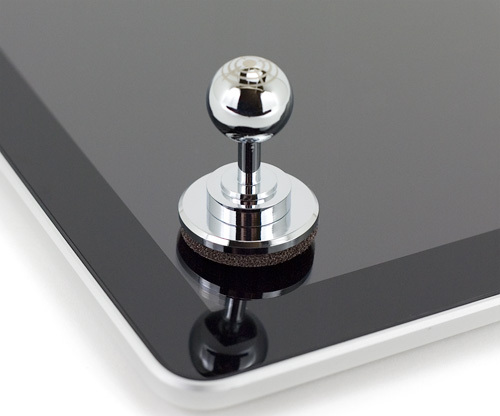 We hope you enjoy your new iPad gaming accessory! And thanks as well to everyone else who entered our contest. We hope to have some more giveaways in the future, so keep your eyes peeled for another chance to win.